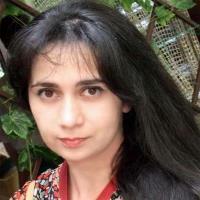 Join Zaira Dzhaubaevas mailing list. Zaira’s watercolors are an explosion of life and color with a very rich and varied palette which shows her fascination with flowers and the animal world as two of her favorite subjects. Her works have become very popular worldwide. They are in private collections in United States, Russia, United Kingdom, Australia, Canada, Argentina, New Zealand, Greece, Mexico, Singapore, Spain, Sweden and other countries. Zaira lives and paints in the United States.